While subtler in color than the closely related canary blenny, the harptail blenny is considered one of the more beautiful blennies, growing to no more than 3.9 in/10 cm. 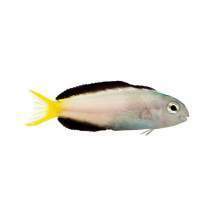 Sometimes called the Mozambique fangblenny, this tank-bred harptail blenny will do well in many reef or fish-only systems. Like most fang blennies, it will benefit from plenty of live rock around which it can hunt and in which it can hide. While it is considered one of the most peaceful species in the genus, the harptail blenny does possess both fangs and venom, but it generally only uses them in self-defense against larger predators. In a peaceful to semi-aggressive community tank of 30 gallons or larger, the harptail blenny should pose little danger to other animals with the possible exception of fishes similar in color and shape. 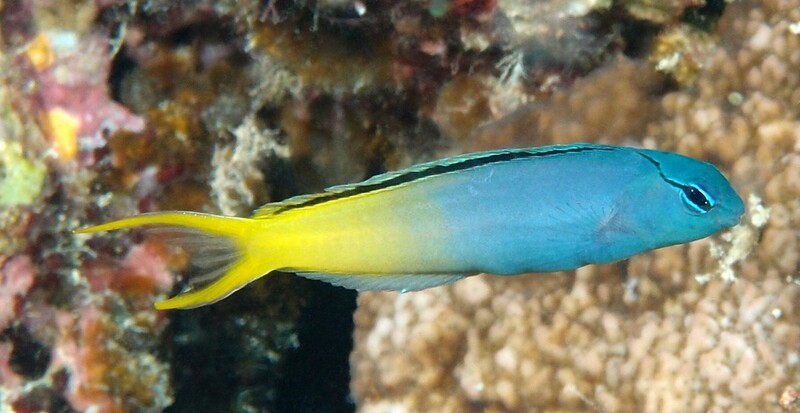 This species is known to change color when stressed, and it may take an acclimation period until it regains its striking color in the hobbyist’s tank. 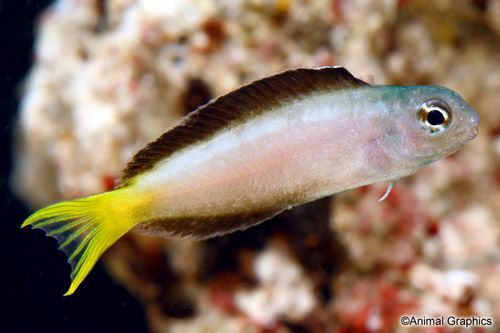 Originating in the Western Indian Ocean, the harptail blenny is commonly found over coral rubble and will appreciate plenty of live rock in its aquarium. Unless the system is very large or the aquarist is experienced enough to provide the proper husbandry, only one harptail blenny should be kept in an aquarium. Like all blennies from the genus Meiacanthus, this blenny is a planktivore and benefits from a varied diet with plenty of meaty options offered two or three times per day. 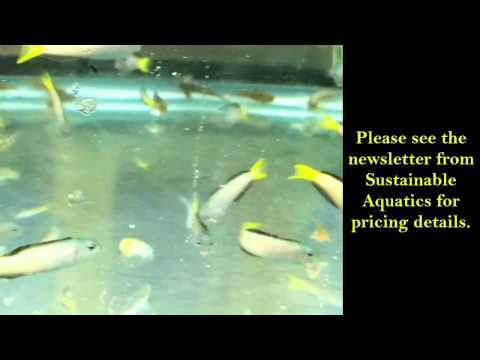 While a mature aquarium with plenty of live rock will provide natural feeding opportunities, all Sustainable Aquatics tank-bred fishes are weaned onto captive dry foods such as the Sustainable Aquatics Dry Hatchery Diet.